I’m going to try something new and review two books at once, since they both deal with the same topic: the forced relocation of Japanese Americans and Japanese Canadians to internment camps during WW2. 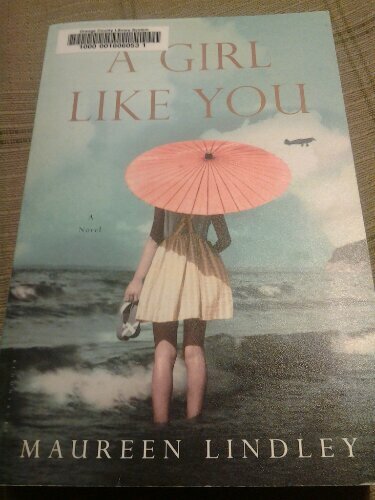 A Girl Like You is written from the perspective of Satomi, the young teenage daughter of a white American father and Japanese American mother. Although her father is killed serving in the Navy at Pearl Harbor, Satomi and her mother Tamura are ostracized at home and at school even before they are forced to leave. Once in the camp, however, Satomi is still an outcast because of her mixed racial heritage and because she rebels against traditional Japanese expectations of how girls should behave. Satomi struggles to navigate the ordinary challenges of growing up, family obligation, and young love against a background of constant privation and hardship. She gains an unexpected ally in the camp’s white doctor, Dr Harper. Time and the guidance of older, wiser women help smooth some of Satomi’s rough edges. She also grows less selfish as she cares for her sick mother and a group of orphans, including a little girl named Cora. After the war ends and Satomi leaves, she continues to struggle to find love and her own place in the world. The ending is as happy as can be allowed given how few of the characters remain alive. One thing I immediately disliked about this book is that the third person narration would jump suddenly from Satomi’s perspective to another character’s and back with no page break or anything. Requiem is written from the perspective of Bin, a grown man in modern day Canada. Grieving the recent death of his beloved wife Lena, and seeking inspiration to complete the work for his latest art installment, he undertakes a cross-country road trip with his dog Basil, back to the camp where he was iterned with his family as a boy. Scenes of camp life are retold in vivid flashback chapters. I don’t want to spoil the plot, but events happen so that Bin does not leave the camp with his family (altho they remain alive) but as part of another family. What happened in the camp shapes the rest of Bin’s life, his relationship with his son Greg, and his art. Now for the “compare and contrast” (as this was called in middle school book reports.) 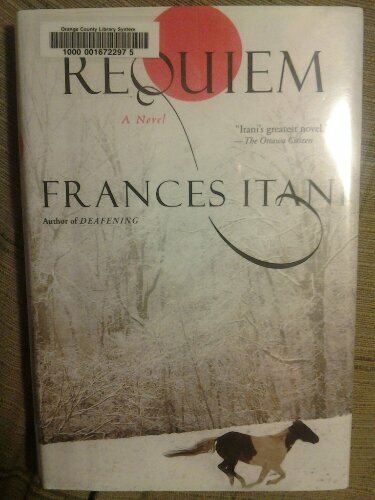 I almost want to apologize to A Girl Like You, because its a decent novel; but compared to Requiem, it comew up short. Girl is notable mostly for its subject matter, while the superb writing in Requiem is what has drawn me to reread it not once but twice. Girl focuses on the physical hardships of the camp: the cold, sickness, wind, blood, piss, and hunger (its no accident the most helpful character is a doctor.) The conditions were horrible and no human should have ever been subjected to them by another human. But Requiem, while not ignoring these ugly facts, focuses more on the deprivation of the soul- and the strength of the human spirit in spite of it. When I picture Satomi’s camp, I picture the smelly awful latrines with cold dusty wind blowing thru the cracks in the walls. When I picture Bin’s camp, I picture a man playing piano sonatas on a piece of painted wood until his fingers ache, while a boy draws with charcoal on endpapers torn from treasured books. Finally, Girl lacks a cohesive narrative. It starts at a point in time, wanders on for a few years, and then ends. I don’t feel like Satomi reaches her full potential as a character, and her selfishness grew annoying. She has no epiphany. There is no visual symbol to which the author returns. In the end, its just a story. The narrative structure of Requiem, however, is excellent. The author’s choice of a roadtrip is an excellent parallel for Bin, not only to journey into his past, but also to find his way home. All the characters are exceptionally well-drawn, even the ones that seem unsympathetic. Bin’s art exhibition, the one he needs to finish, focuses on rivers. Of course there is more than one river along the way. There is a river in the camp. And in the end when his past and present finally come together, of course he on the banks of a river. This entry was posted in Fiction and tagged books, fiction, world war two. Bookmark the permalink.